Ankle high goat leather trainer sneaker. A flat, antique-look outsole and a soft, brown goatskin characterise the ankle-high Jörg tracht sneakers in soot colour. 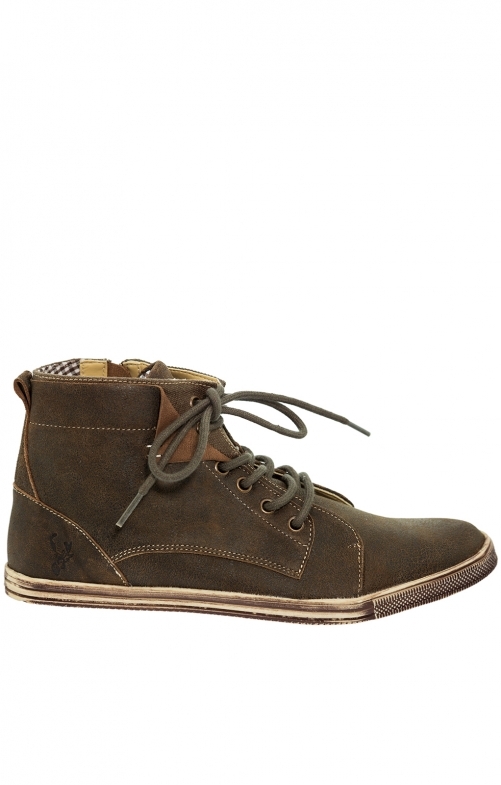 The men's shoe has a brown plaid lining and attractive leather covers on the side of the laces. This is only for appearance, because for easy on and off the zipper can be used on the inside of the sneaker.